A recently launched iPhone application called Say What? 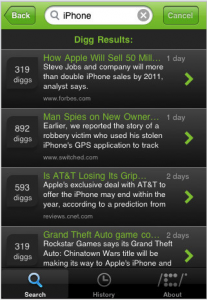 allows integrated searching of Twitter, Digg, plus thousands of forums and blogs, from one interface. iCrossing’s application has actually been freely available for about a month now, but I’ve only just discovered it. 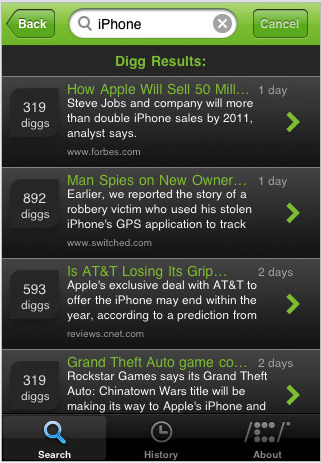 While I personally don’t search in Digg much, the ability to search across both a significant section of the web (blogs and forums) as well as Twitter sounds appealing.